New Shipment In for Rocco Sauvage! Made in USA! Just Landed! We have new belts in from our factory in Southern California. We have several new styles of men's leather belts..all handmade. The buckles I get from a Florence designer and the belts are designed and made right here in Southern California. The design featured here "SAGEBRUSH" is one of our best sellers, with a vintage finished brown paint buckle and a cowhide strap with hand fitted studs. 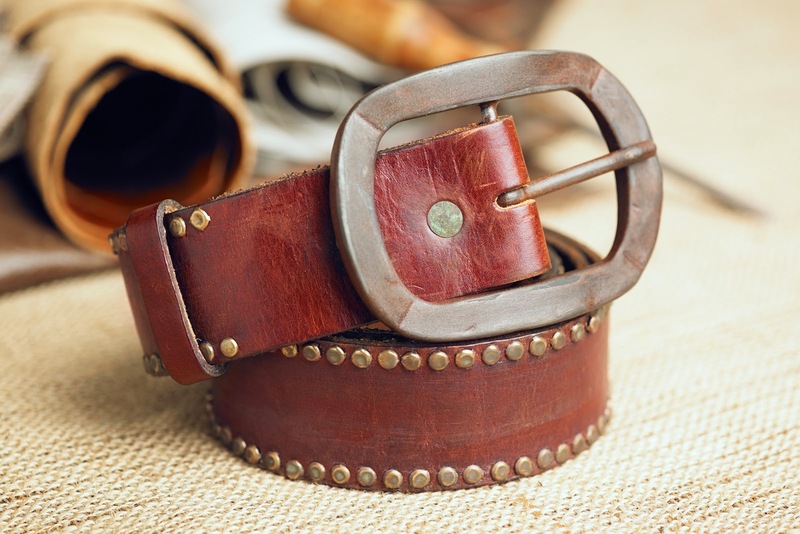 This belt feels like it has been handed down a few generations ago to your own closet, and its was built to last. Wait. That sounds like a Ram commercial tag line or is it Ford?.(ooooppps!) Anyway, our belts are made to last for a few decades so its more of an investment piece you can count on for many years to come to hold up your jeans, pants and maybe your next of kin later on down the road. Life is a journey..let Rocco Sauvage be part of it.